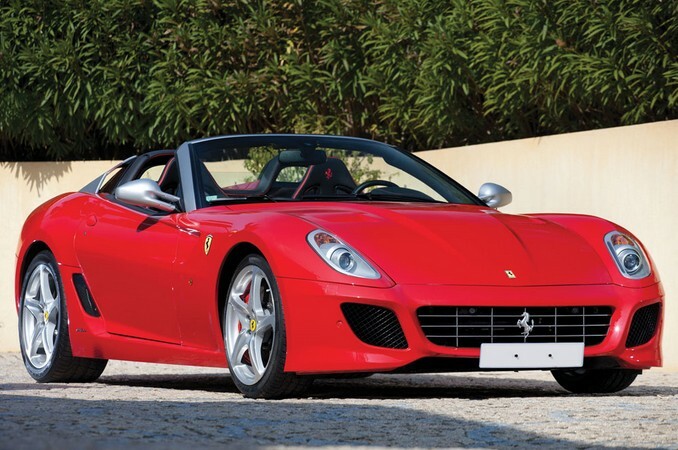 Did you know Ferrari made a drop-top version of the 599 GTB Fiorano (to be more accurate, it’s a convertible 599 GTO)? Well, you wouldn’t be alone if you didn’t. The 599 was built from 2007 through 2012 (model years). There were a couple of limited edition versions of this car, but only one cut the top off. It follows in the footsteps of two other V-12 front-engine Ferrari drop-tops: the 575 Superamerica and the 550 Barchetta. This uses the same 670 horsepower 6.0-liter V-12 engine from the 599 GTO. Very little was ever mentioned of this car. There were no magazine covers and it garnered little press. Probably because all 80 were sold before it was even released. And this car is #80 of 80 – the last one built. Very rare, very new, and very exciting, this car should sell for between $625,000-$825,000. Click here for more info. 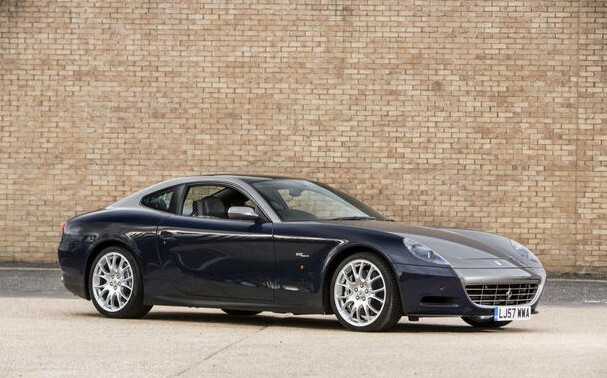 The Ferrari 612 Scaglietti was the 2004 replacement for the long-lived 456M. It’s a 2+2 four-seat coupe. It is not the most popular Ferrari of all time, but I’ve always liked them. It lasted through 2011 before it was replaced by the new FF. The Sessanta was a limited-edition model built in 2007 and 2008. The engine is a front-mounted 5.7-liter V-12 making 540 horsepower. That makes this four-seater capable of 196 mph. The Sessanta (Italian for “60”) was to commemorate Ferrari’s 60th year. It featured two-tone paint (available in two variations) and special trim and badging. Ferrari also hiked the price big time. Guess how many they built. That’s right, 60. This is one of only four right-hand drive models constructed. It is very rare and should sell for between $130,000-$170,000. Click here for more info and here for the rest of Bonhams’ Hendon lineup. 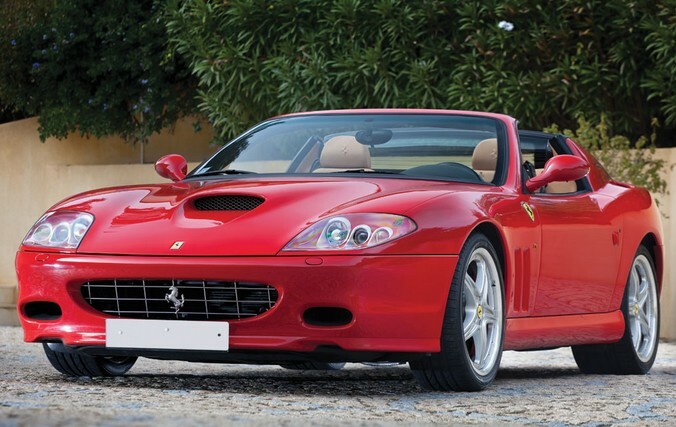 The Ferrari 575M Maranello was the successor to the 550 Maranello and precursor to the 599 GTB Fiorano. Ferrari built a convertible of the 550, called the 550 Barchetta. And it was a success. So they decided to do the same thing with the 575M. The Superamerica featured an electrochromic glass roof that rotated and stored flat over the trunk of the car. It has kind of a targa look to it instead of pure convertible. The engine is a more powerful version of the one in the hard top – that is, a 5.7-liter V-12 making 540 horsepower. This two-owner car is one of only 599 built and has 7,700 miles. These cars were highly sought after for years after they were built and there will be a point where these cars no longer depreciate and start going up in value. Right now, you can get your hands on this one for between $235,000-$325,000. Click here for more info and here for more from RM in Monaco. This entry was posted in Uncategorized and tagged 2006, 2008, 2012, 575 superamerica, 599, 612 sessanta, auctions, cars, ferrari, rm auctions, sa aperta, sports cars by classiccarweekly. Bookmark the permalink.